The last few weeks my team and I have been busy fielding inquiries and booking spots for my upcoming trainings The Fundamentals of Interactive-Graphics and The SHIFT-IT Certification Program. It’s always an interesting process as we witness the different manners and attitudes in which people value their creativity and make their way into my programs (or not). Perhaps it’s a harsh word, but some of what I see and hear in my role as an international Interactive-Graphics mentor and as the SHIFT-IT Coach can only be summed up as ‘denigration’ of that which is associated with being artistic, creative or even ‘feminine’. 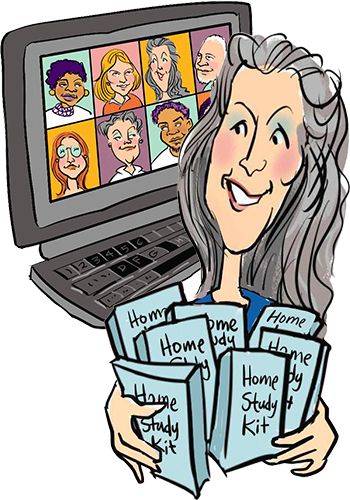 My entry to the graphic way of working came through graduate school and my studies in Organizational Development and Change Management. I entered the visual realm through the backdoor of academics and process work. Perhaps even denigrating the artistic and creative sides of the work (and myself) in my desire for it to be useful, logical and of service. 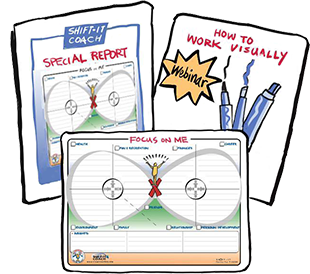 The graphic recording, graphic facilitation and graphic coaching work that I do in my professional practice and teach others about … is very integrated work. It brings together the left and right sides of the brain and of your being (and the beings of your clients who you co-create with). It is both practical and logical AND intuitive and emotional. It has it all. It’s a very holistic way to work and, in my opinion, aids the massive transition we are all in the midst of. It’s a cutting edge technology. For the record, let me state unequivocally for those of you who need to hear it, YES YOU CAN MAKE MO.NEY DOING WORK THAT YOU LOVE! You do not need to split yourself. You do not need to do work that you don’t enjoy because you think that is the only way you can make money and look after yourself … and keep your creative life stuffed into the corners.